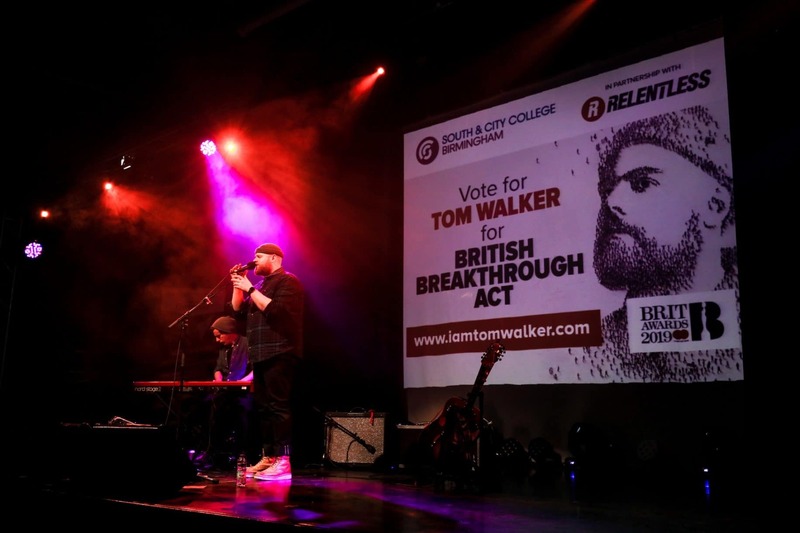 A double BRIT Award nominated singer-songwriter gave an exclusive performance to launch an innovative collaboration between South & City College Birmingham (SCCB) and Sony Music’s Relentless Records this week. Students, staff and visitors were treated to an exclusive performance and a talk by Tom Walker (Leave a Light On) at the college’s concert facility at the Digbeth campus to launch the new partnership. 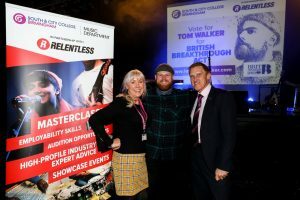 As part of the collaboration, Relentless Records are offering college music students – including those at the Bournville College Campus in Longbridge – the opportunity to take part in masterclasses led by successful industry experts such as musician Naughty Boy, rapper Nadia Rose and BBC DJ Trevor Nelson. These classes will give an insight into all aspects of the industry from performing, to running a record label, to marketing and promotion, production, A&R and radio. Selected top performing students will have the opportunity to perform at an event in London in front of A&R executives, leading to a live event and showcase at Sony Records. Jacqui Maher, Assistant Principal for Innovation and Development at South & City said, “The college is delighted to be in partnership with Relentless Records. It enhances our students’ learning and college experience by giving them a true insight into all aspects of the music industry. Ewan Grant, COO of Relentless Records added, “As a record company, we are always on the lookout for new talent and we wanted to partner with like-minded people to find the stars of the future. 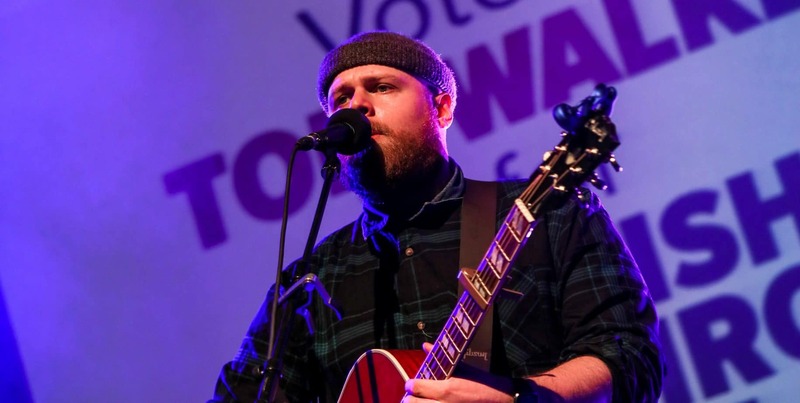 “When we visited the music department at the college, we saw that the facilities and teaching were second-to-none and would help us break out of a London-centric music scene. “We looked to partner with a college that was delivering high-quality teaching and learning, alongside excellent results. South & City College was a natural choice. Tom Walker is currently nominated for two BRIT Awards: British Breakthrough Artist and British Single “Leave a Light On”, which has been in the UK charts for over 40 weeks and boasts more than 95 million views on YouTube.